Supreme Court Announces Broad Separability Test in Applying Copyright Law to Useful Articles - Ward and Smith, P.A. This article continues the discussion in an earlier article addressing the scope of copyright protection as it applies to useful goods under copyright law. At the time the first article was written, Varsity Brands, Inc. v. Star Athletica, LLC, a case turning on the test for "separability" under copyright law, had recently been decided by the Sixth Circuit Court of Appeals. Now, Varsity Brands has been appealed to, and decided by, the United States Supreme Court. The main issue in Varsity Brands was whether copyright protection extended to the decorative elements of Varsity Brand's cheerleader uniforms—i.e. the particular combination of chevrons, stripes, colors, and shapes appearing on the uniforms. United States copyright law (the "Copyright Act of 1976") protects original, creative expression fixed in a tangible medium, such as sculptures, paintings, and musical recordings. But, subject to limited exceptions, copyright protection often does not extend to the design of useful articles, such as clothing. Useful articles are protectable by copyright only to the extent they have artistic elements that are separable from their utilitarian aspects. Historically, determining whether a design feature of a useful article was eligible for copyright protection has always required a so-called "separability analysis" to determine whether the feature could be separated from the utilitarian function, before determining whether the feature qualified for copyright protection, as physically or conceptually separated from the useful article. Over the years, federal courts across the country developed numerous tests to determine separability under copyright law. The lack of a single, unified framework resulted in legal uncertainty for designers and manufacturers and expensive litigation. 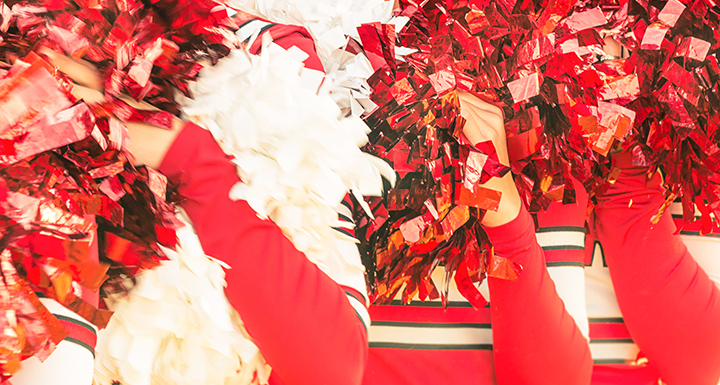 In Varsity Brands, the answer to the question of whether the decorative elements of the cheerleader uniforms were eligible for copyright protection depended on whether they were capable of existing as a "pictorial, graphic, or sculptural work" separate from the garment. The trial court had determined that the decorative elements were not conceptually separable from the garment's utilitarian aspects because, essentially, a cheerleader uniform without those elements would cease to be a cheerleading uniform. On appeal, the United States Court of Appeals for the Sixth Circuit reversed the trial court, ruling that the artistic aspects of the cheerleading uniforms were subject to copyright protection because the graphic features of the cheerleading uniforms were conceptually separable from, and capable of existing independently of, the utilitarian aspects. In reaching its conclusion, the Sixth Circuit crafted a new five-question inquiry test to determine separability, distinguishing between "fabric design" and "dress design." The Sixth Circuit held that the "fabric design" (chevrons, stripes, colors, and shapes) was physically or conceptually separable, while the "dress design" (cut, dimensions, style) was not. Varsity Brands was of particular interest to both designers and their attorneys because fashion designs, including the shape, cut, and dimensions of such designs, have traditionally been excluded from copyright protection as being inseparable from the utilitarian function of the clothing. Whether the decorative elements appearing on the surface of a functional garment, such as a cheerleading uniform, were similarly inseparable was a matter of debate. Put another way, on appeal, the Supreme Court was asked to decide the narrow issue of whether the decorative elements were separable from the utilitarian function of the clothing as a cheerleading uniform. But, Varsity Brands also provided the Supreme Court with an opportunity to determine, once and for all, the unsettled legal question of what standard applies to determine when the design features of a useful article are considered separable and, therefore, subject to copyright protection. The Supreme Court, on March 22, 2017, affirmed the Sixth Circuit's conclusion that copyright protection did extend to the decorative elements of the cheerleading uniforms, but the Court's majority based its decision on a straightforward, two-part inquiry derived from the Copyright Act of 1976 itself, rather than the five-question inquiry the Sixth Circuit used. Whether the feature is "capable of existing independently of" the utilitarian aspects of the article. The first requirement, the Court observed, is simple. It is satisfied if one can identify a two- or three-dimensional element of the feature that has "pictorial, graphic, or sculptural qualities." The second requirement, however, requires some imagination. It is satisfied if the separately identified feature "has the capacity to exist apart from the utilitarian aspects of the article." In other words, the Court noted, the feature must be able to exist as its own pictorial, graphic, or sculptural work once it is "imagined apart from the useful article." This inquiry serves to address what the majority of the Court identified as the "ultimate separability question"—whether the feature in question would have been eligible for copyright protection had it originally been fixed in some medium other than a useful article before being applied to a useful article. Applying this test to the surface decorations, or decorative elements, of a cheerleading uniform was then "straightforward," according to the Court. First, the Court reasoned that the chevrons, stripes, colors, and shapes of the cheerleader uniforms could be identified as having pictorial, graphic, or sculptural qualities. Second, once separated from the uniform, it was possible to imagine these decorative elements applied to another medium and qualifying for copyright protection as a work of art themselves. By way of example, the Court imagined the same decorative elements applied to a painter's canvas. Thus, the Court reasoned, the separability analysis was satisfied, and therefore the Court affirmed the decision of the Sixth Circuit. The Court expressed no opinion as to whether the specific cheerleader uniform decorations in question were sufficiently original to actually be protected by copyright, only that they were eligible for copyright protection as a two-dimensional work of art that just happened to be affixed to fabric. Essentially, the Supreme Court's decision in Varsity Brands only confirms that if a design feature of a useful article can be identified and imagined separately as a pictorial, graphic, or sculptural work, then that feature is eligible for copyright protection even if the article is a functional garment like cheerleading uniforms. While the Supreme Court’s test seems simple enough, its application in more complex cases may require a conceptual undertaking that would benefit from additional guidance. Some may say that the Supreme Court missed an opportunity in Varsity Brands to engage in a more thorough discussion of copyright infringement in the context of clothing design. Other than the Court’s analysis of the narrow issue of surface decoration, the only additional guidance provided was a clarification that Varsity Brands' ability to prevent the reproduction of its surface decorations did not extend to the shape, cut, and dimensions of the cheerleader uniforms. Consequently, the issue of when, if ever, these additional aspects of clothing design may be subject to copyright protection, and to what extent, will likely remain a matter of debate. But the fact that the Supreme Court did rule that some design features of clothing are eligible for copyright protection leaves the door open for the fashion industry to argue for expanded copyright protection of fashion designs. Manufacturers and designers with questions about protecting and enforcing their design rights in useful goods should consult intellectual property counsel experienced in both copyright law and patent law. © 2019 Ward and Smith, P.A. For further information regarding the issues described above, please contact Norman J. Leonard or Erica B. E. Rogers.